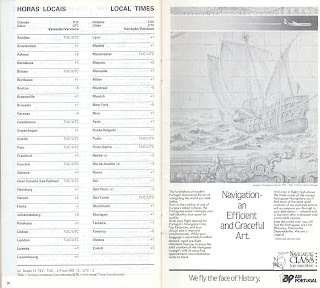 Unos anuncios de TAP de ese año, de la campaña "We fly the face of History". Siempre me gustaron bastante, sobre todo el segundo sobre la introducción de comunicaciones por satélite en sus TriStar. 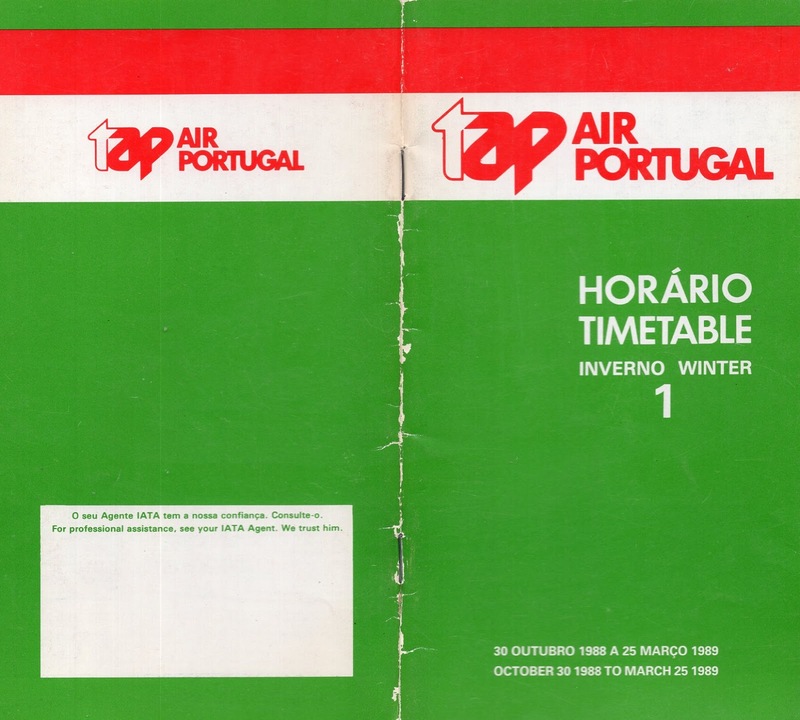 Printed TAP Air Portugal advertisements from the same year: This was their "We fly the face of History" campaign. 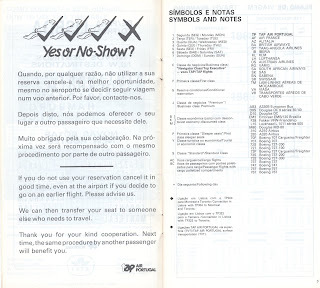 I particularly like the second one, about satellite communications being introduced in their TriStar flights. 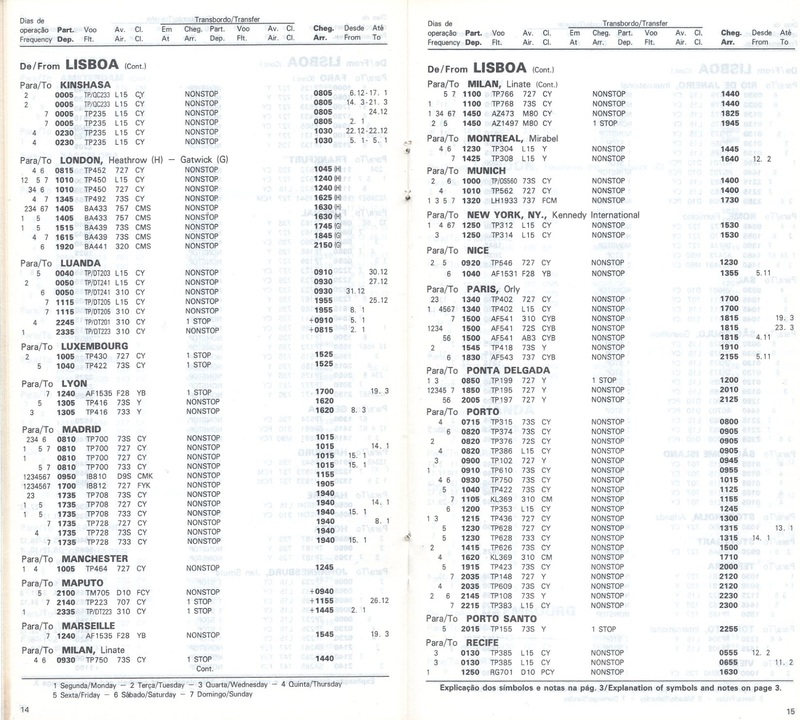 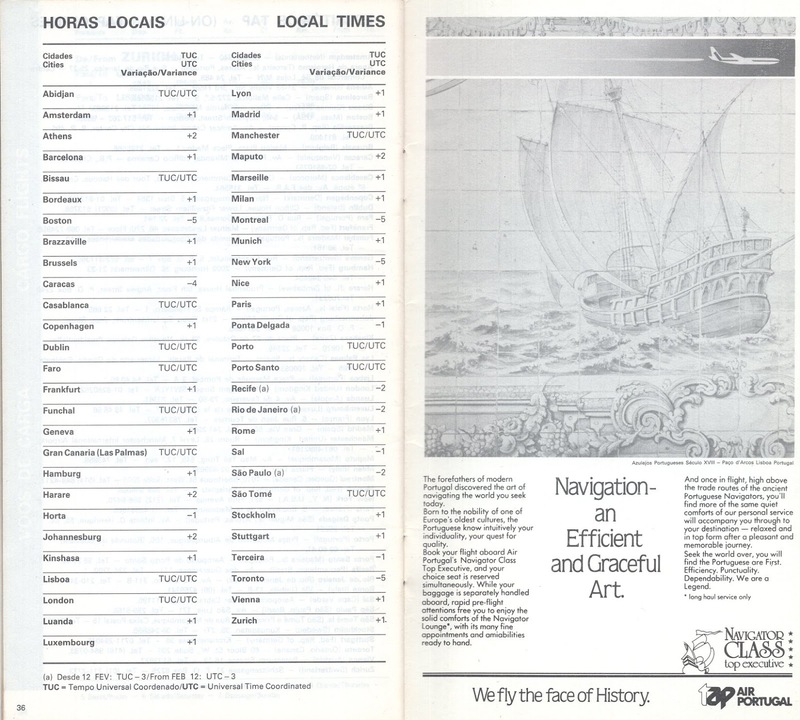 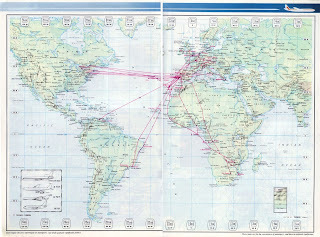 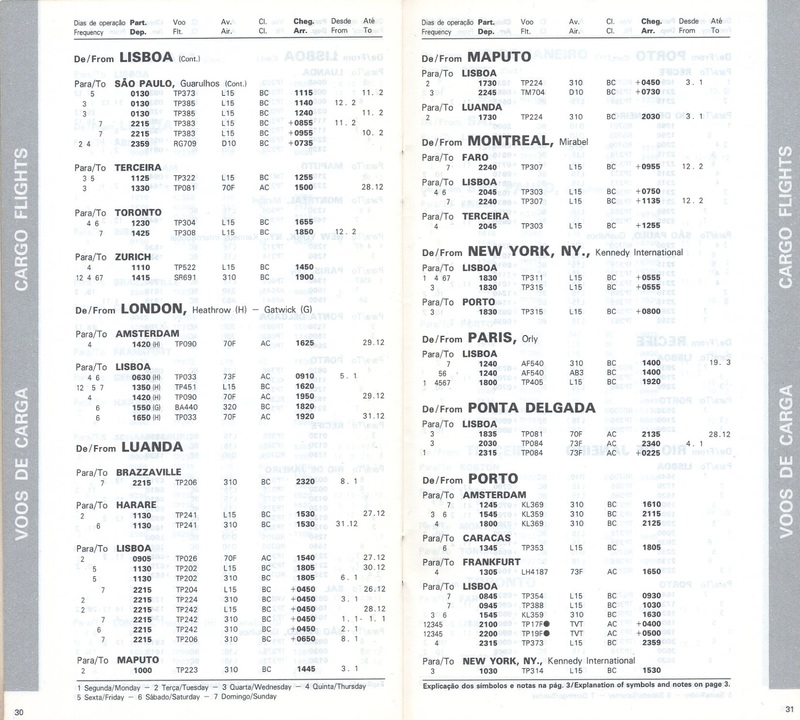 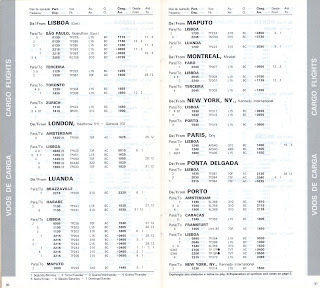 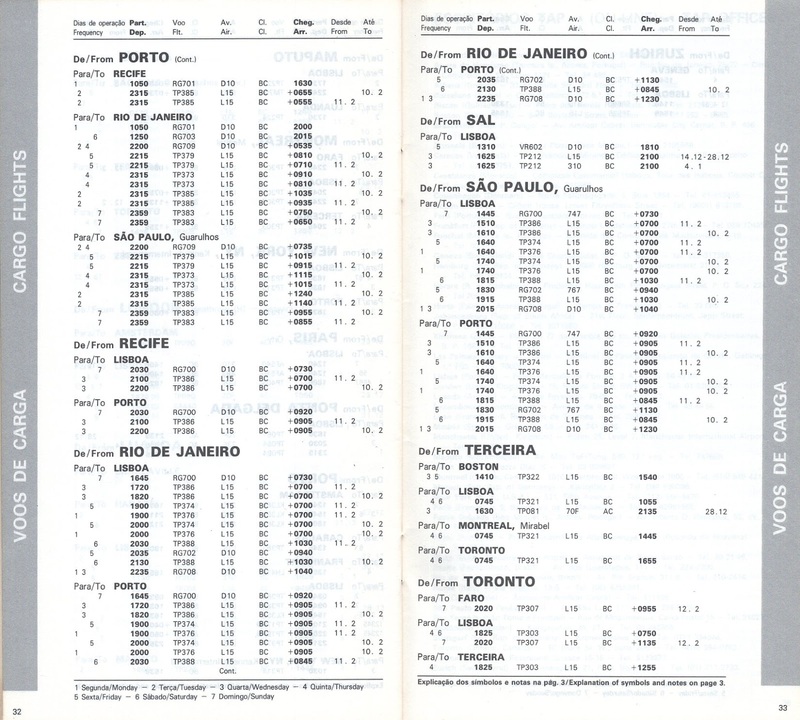 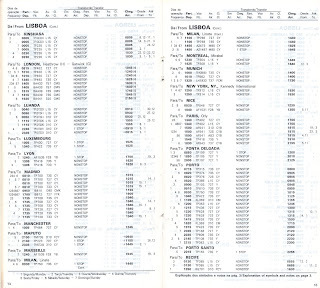 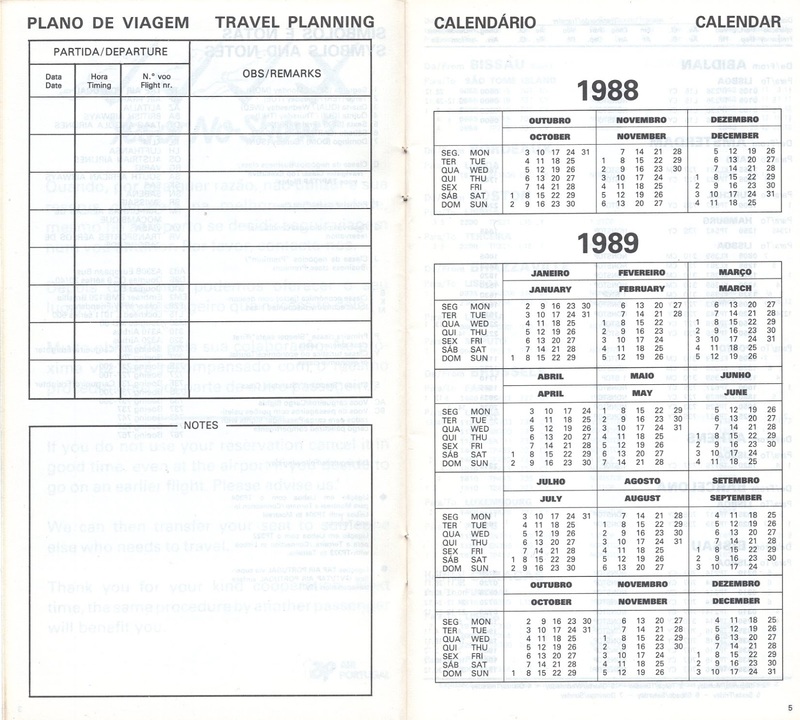 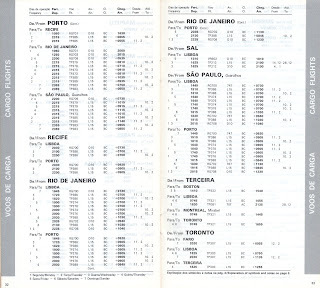 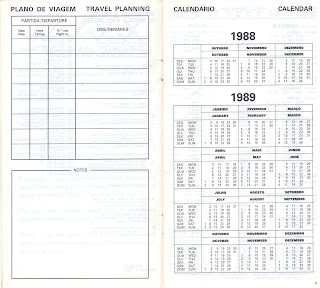 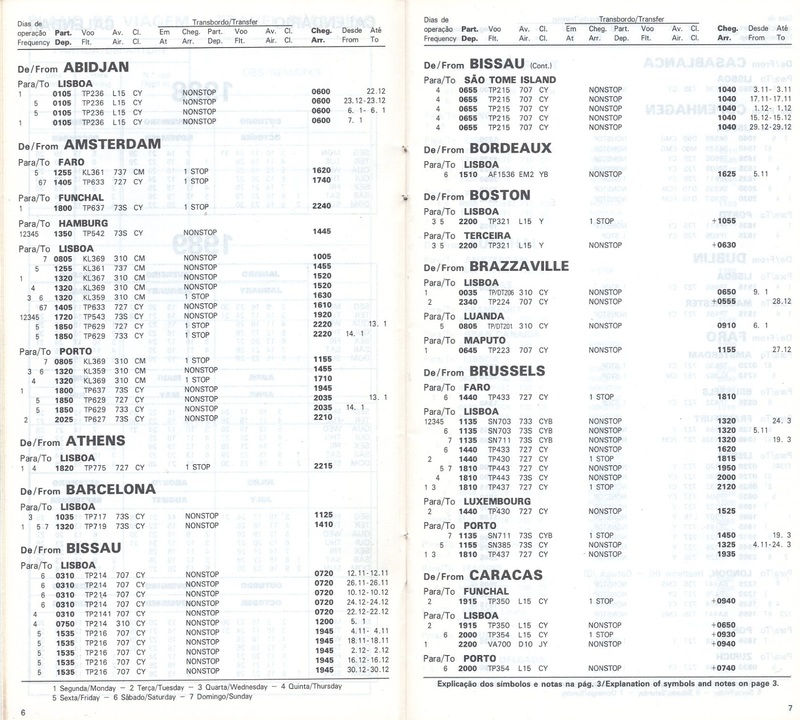 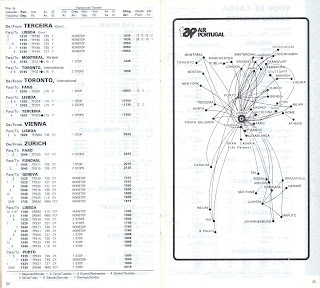 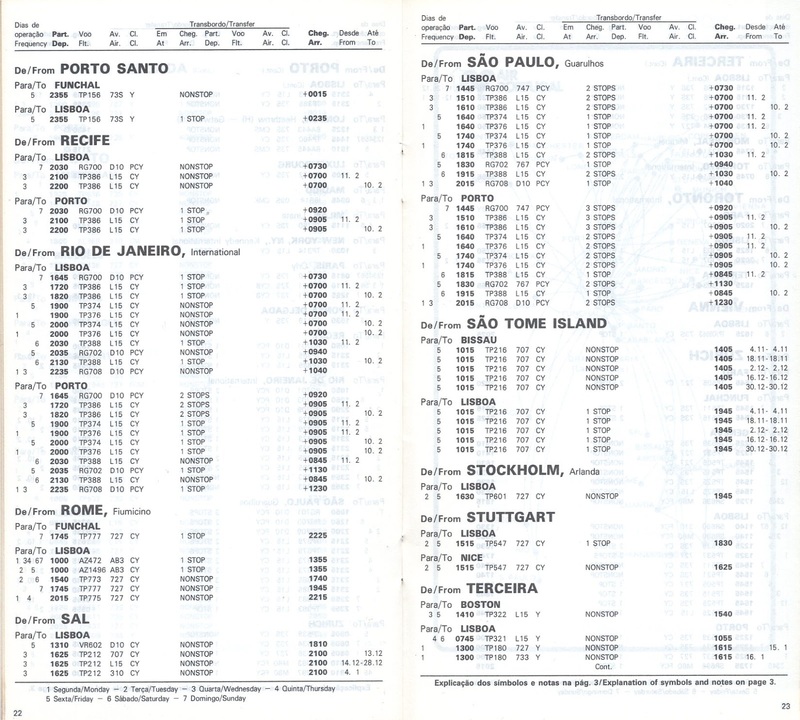 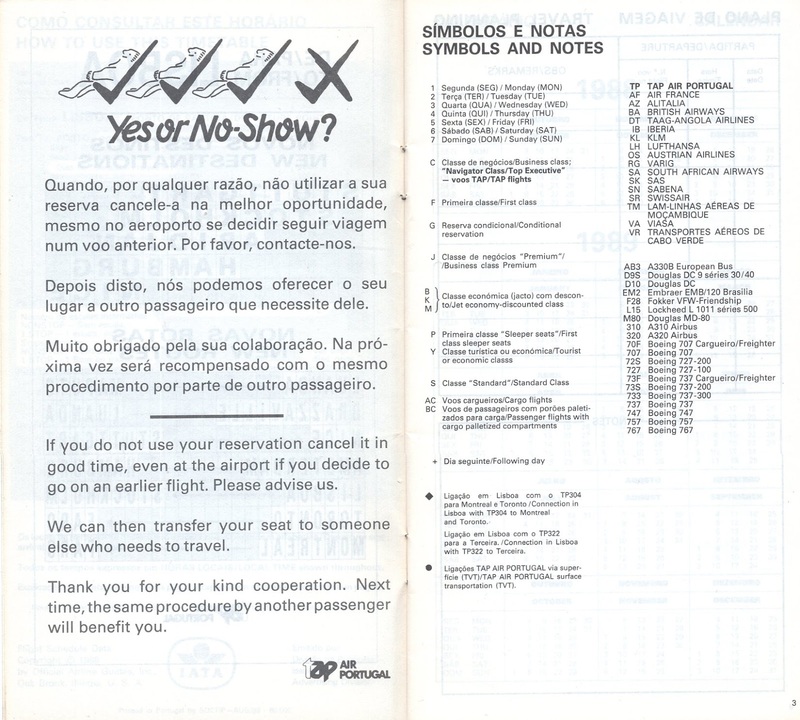 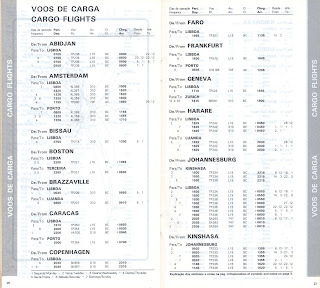 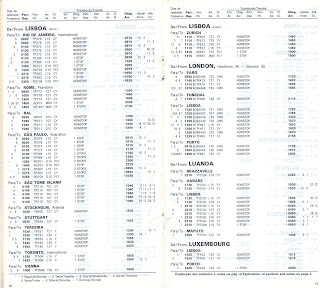 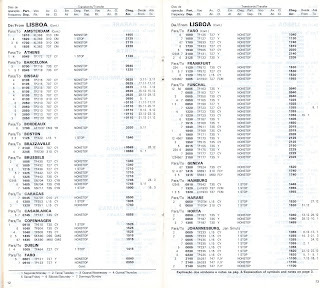 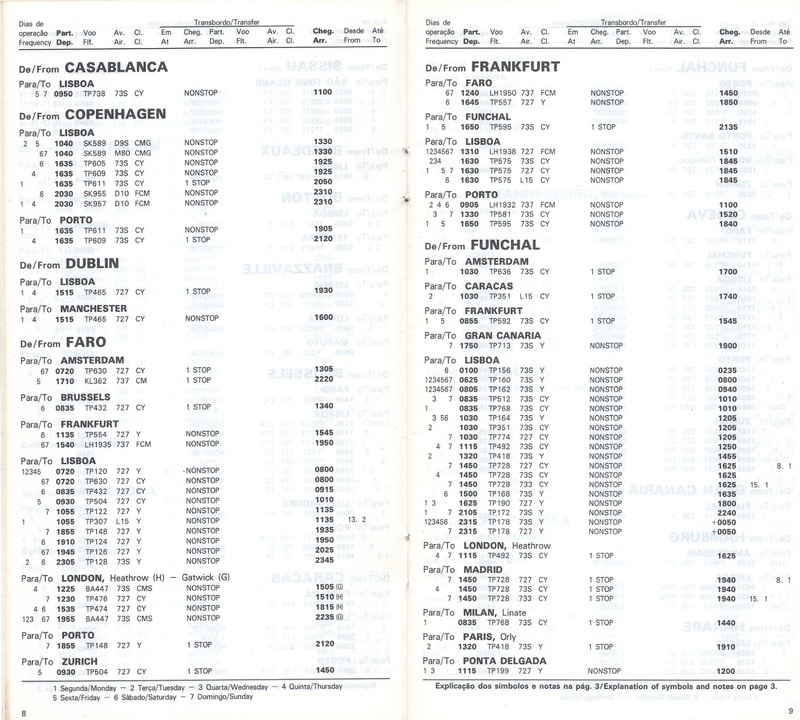 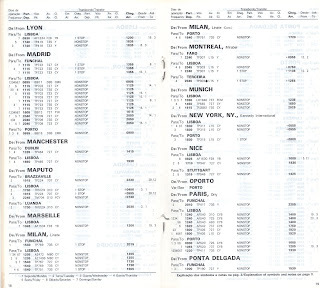 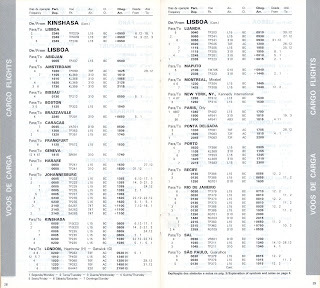 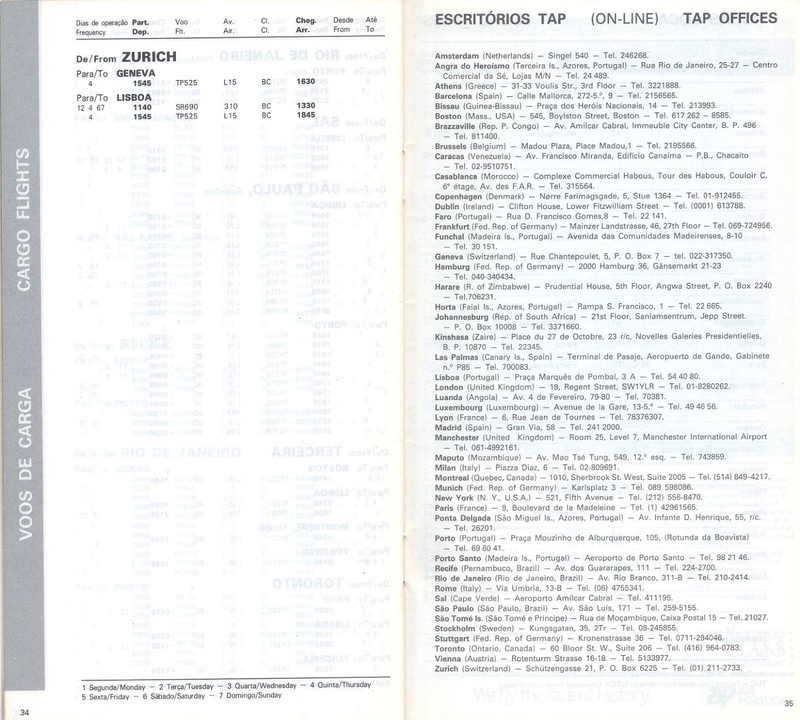 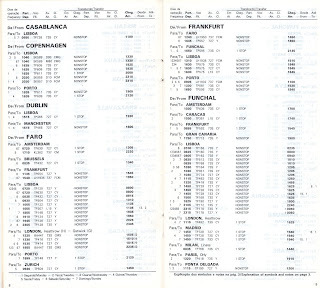 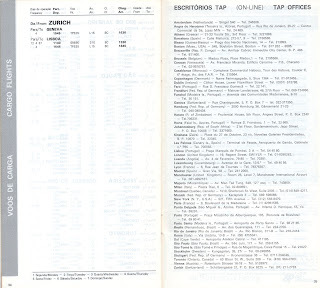 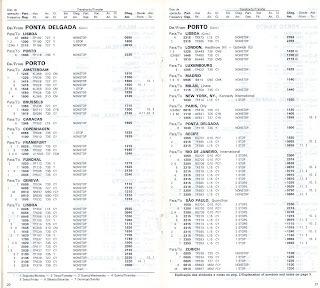 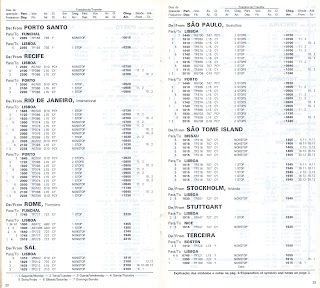 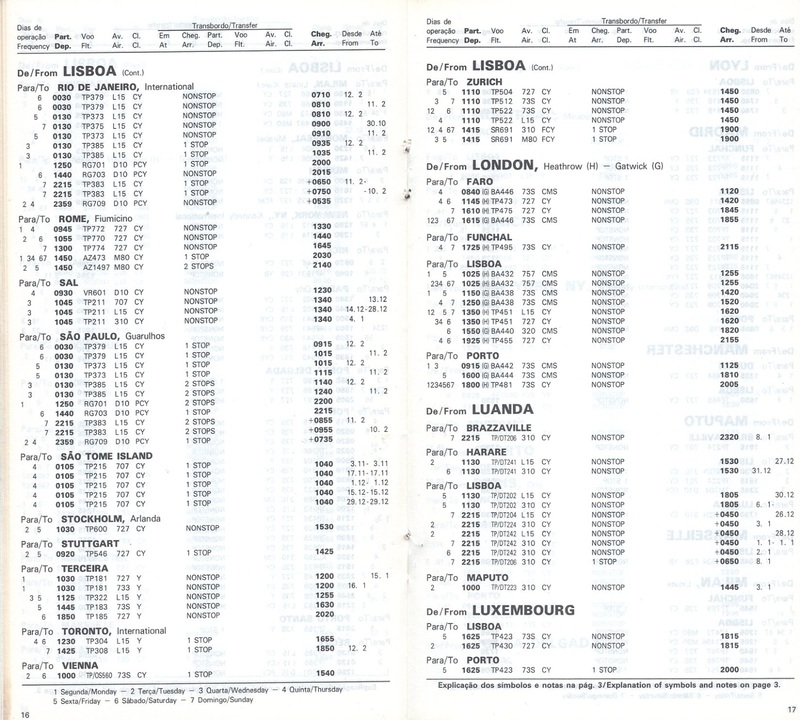 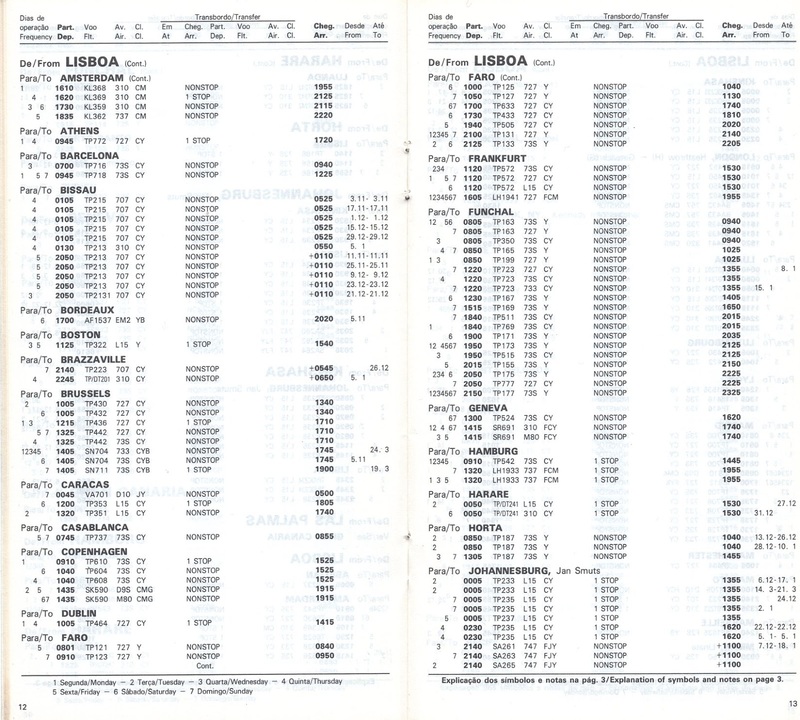 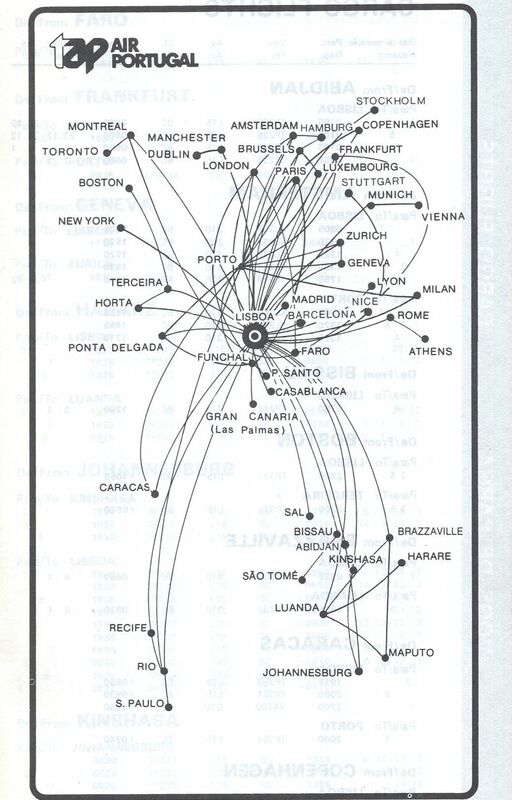 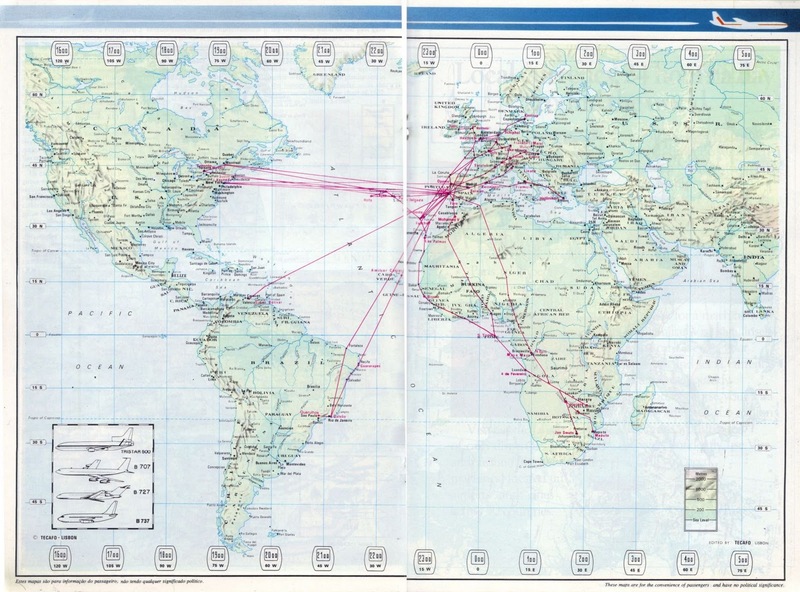 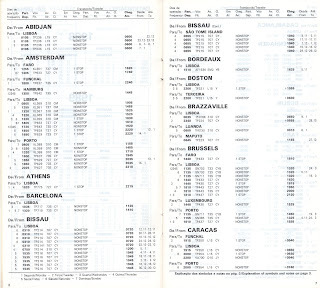 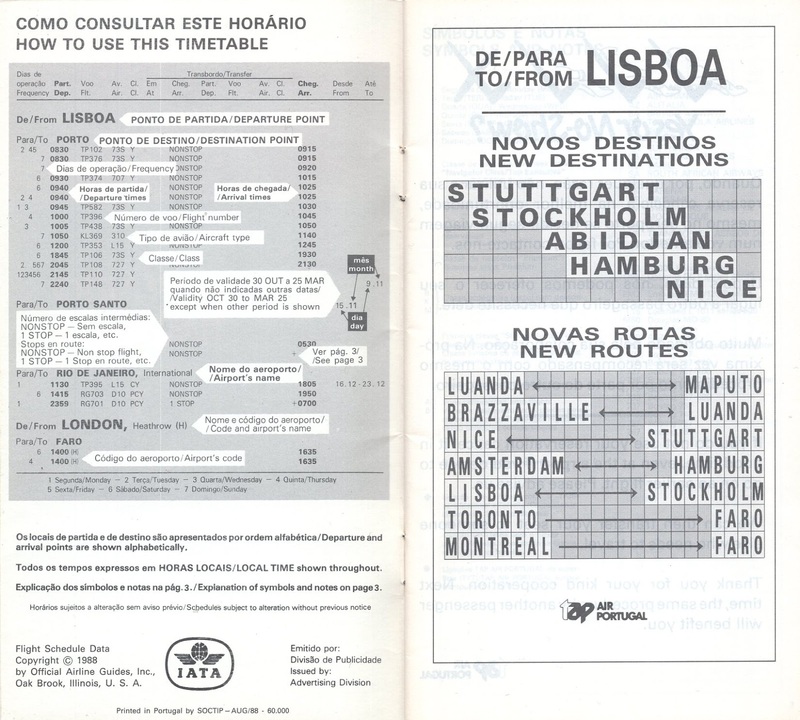 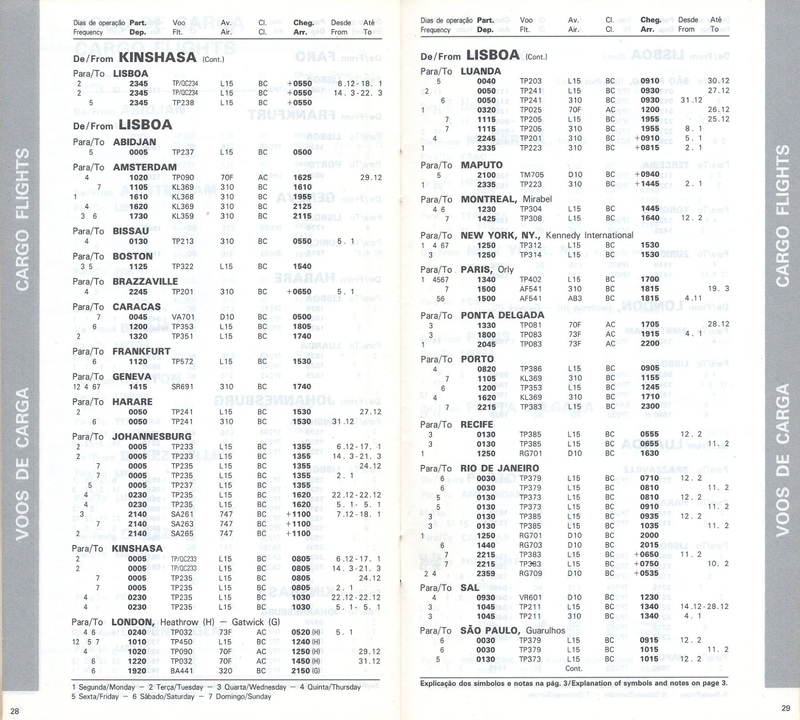 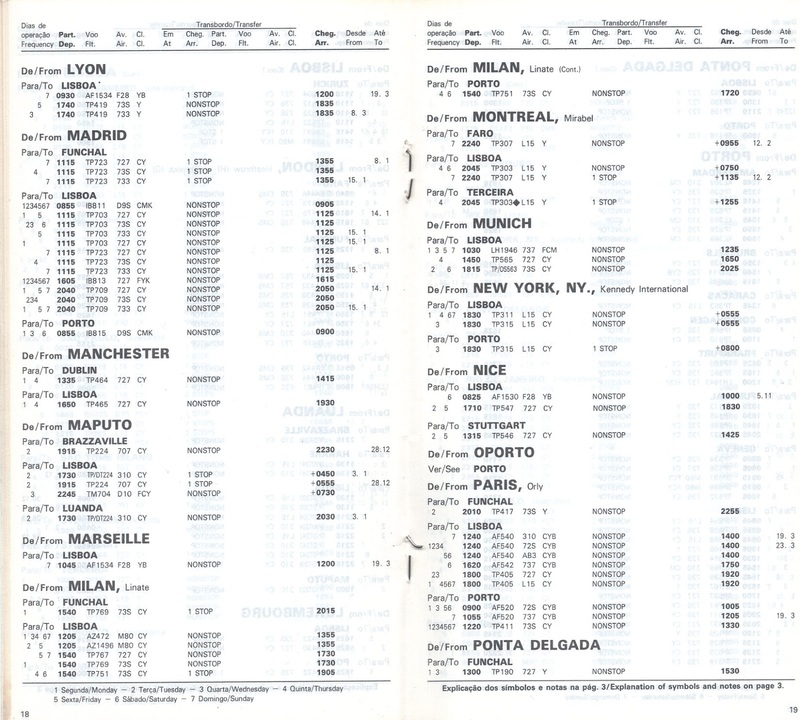 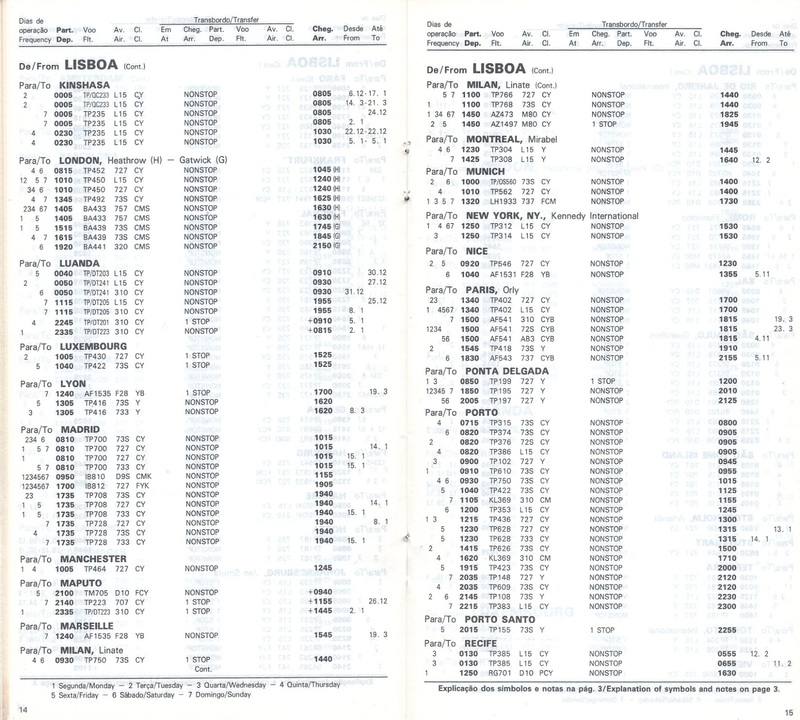 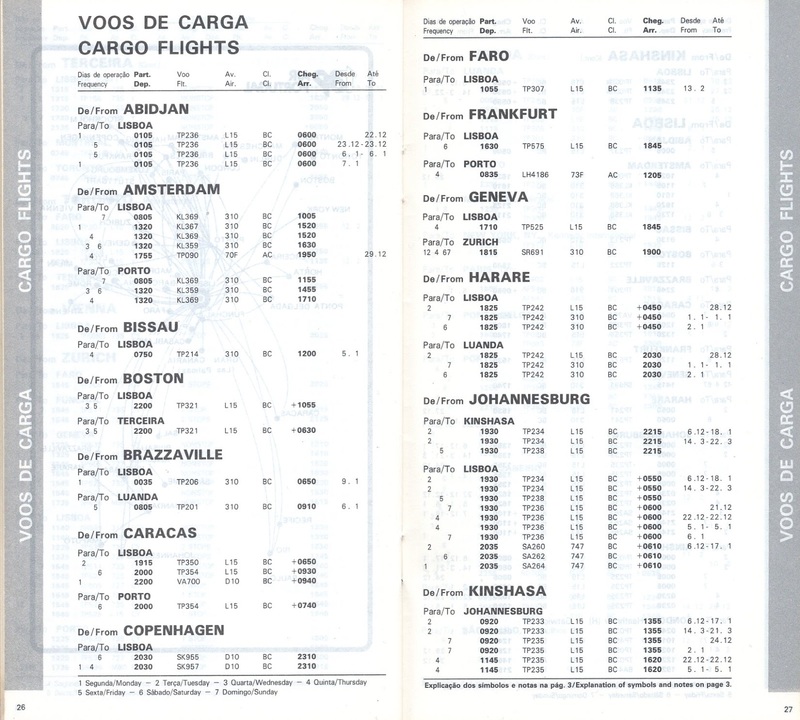 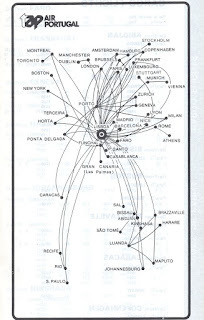 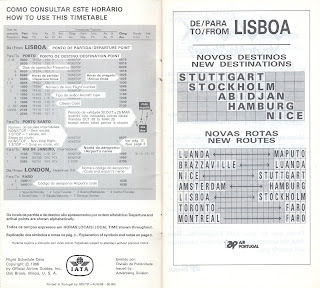 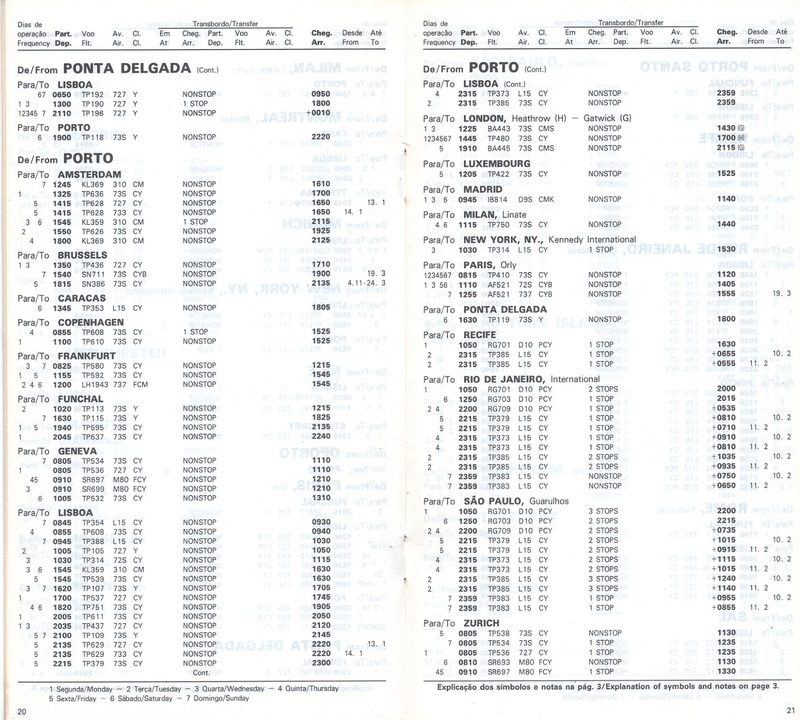 Route maps taken from their 1988 inflight magazine; TAP had a weak, small network in Western Europe, and far fewer flights to Brazil than it has today. 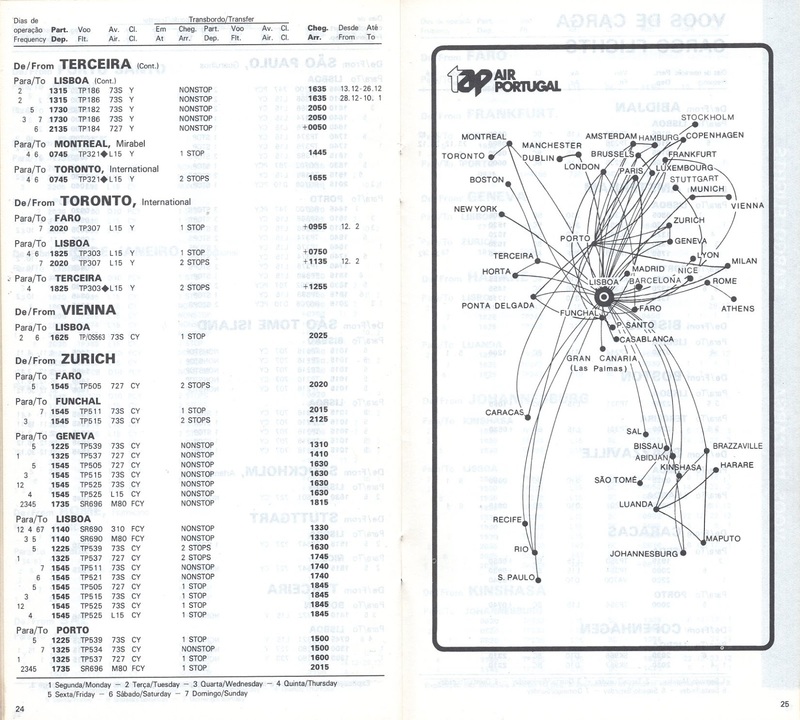 The airline still had a quite unique and strong African routemap, though. 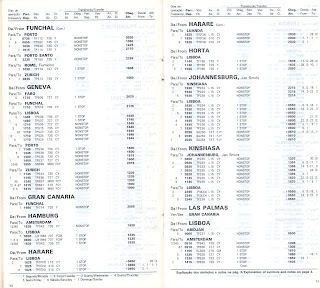 Iberia (1994?) 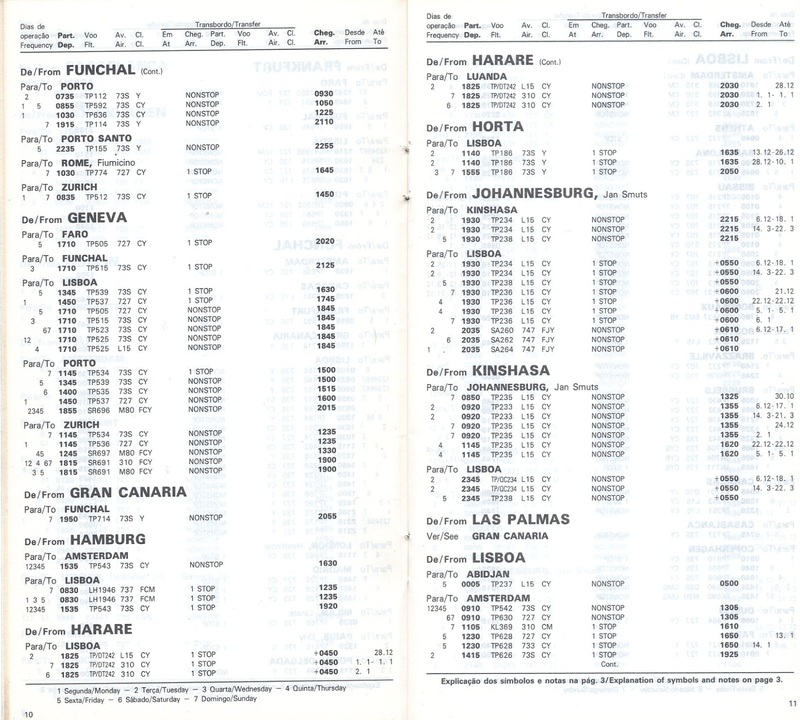 "Tarifas nacionales desde Madrid"